Brad Pitt is set to make the jump to the world of Netflix exclusives later this month with the arrival of War Machine, and a second trailer for the feature has surfaced not long before the film hits the service. 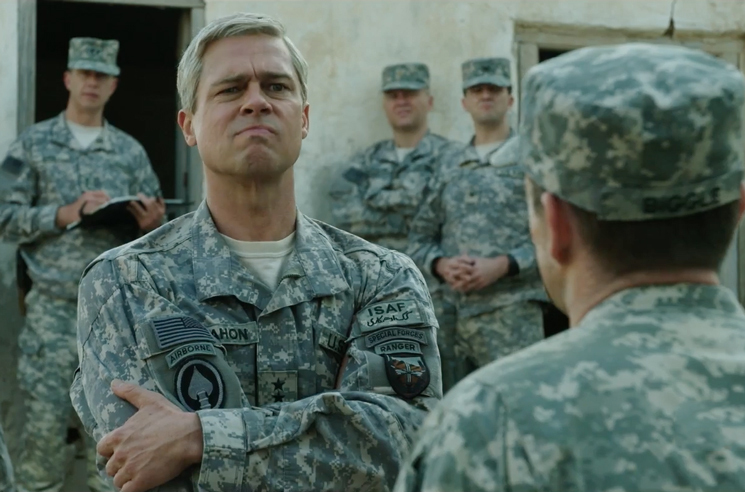 The latest preview of the film finds Pitt and his troops dealing with the politics of war in Afghanistan. You can watch it in the player below. As previously reported, War Machine is written and directed by David Michôd and finds Pitt as a U.S. General who attempts to balance force with likeability in the Afghanistan war. The film also stars Ben Kingsley, Topher Grace, Emory Cohen, Tilda Swinton and Lakeith Stanfield. Before War Machine rolls onto Netflix come May 26, watch the film's second trailer below.